There are two main rodents that you are sure to come across as household pets in Australia they are the rat and the house mouse. Some people are understandably more worried about the rat than the house mouse. Rats have a pretty bad reputation, they are significantly larger and they are instantly connected with diseases. By comparison, the house mouse doesn’t seem quite so bad. However, there is a darker side to this cute little critter and you don’t want to invite them in to stay. Those that do find that they bite off more than they can chew. The rat is the creature that gets the worse press as they are the once seen in the drains and rubbish bins. 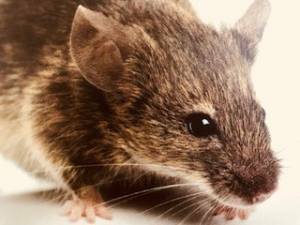 We think of mice as cute woodland creatures – that is until we meet the house mouse and understand what they are really like. 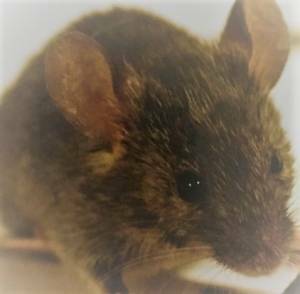 Just like a rat, these tiny mammals can contaminate a home, usually a kitchen, putting family members at risk. They head out at night from their hiding places and search for food and scraps. They leave trails of urine and droppings as they go. Mice can be a problem to get rid of because of their habits, size and life cycle. One mouse may only live to be a year old, but they can reproduce rapidly, reaching sexual maturity very quickly. Therefore a colony can grow very quickly if left alone with a strong food supply. There is also the issues that these pests can find homes in a range of dwellings and fit into tight areas thanks to their physical attributes. They have the ability to run, jump and even swim with great speed and agility. Therefore, they can cover large amounts of ground in one night and reach hiding places you may not have considered. This all means that it can be difficult to know where to set traps, and how many mice to set them for. Mice may have a nest anywhere in a home or commercial property harbouring inside wall cavities, ceilings, subfloors and sheds. Also, they may not be the only adult visiting your kitchen if it is inviting enough. A trap under the fridge or in the food cupboard may be well-placed, but there is no guarantee of catching them. Then there is the additional issue of having to deal with killing or disposing of mice if they are caught. Baited traps that kill can be distressing for animal lovers. Humane traps allow for mice to be released, but what is to stop them from returning again? The first move for any expert extermination team is to perform an inspection of the home to get a better idea of the situation at hand. This inspection will determine signs of infestation and the entry and exit points for the room. Remember that these tiny animals can squeeze through tiny gaps, so they may be using cracks in the walls much smaller than you imagine. On identifying these entry points, they will set up a series of traps to catch the animals on their next outing. The preferred option here is the instant kill trap for immediate death and easy disposal. This is more humane than the baited traps where the poison takes time to take effect. During this period, the mouse may run off back to a nest in the wall, die and cause other contamination issues.